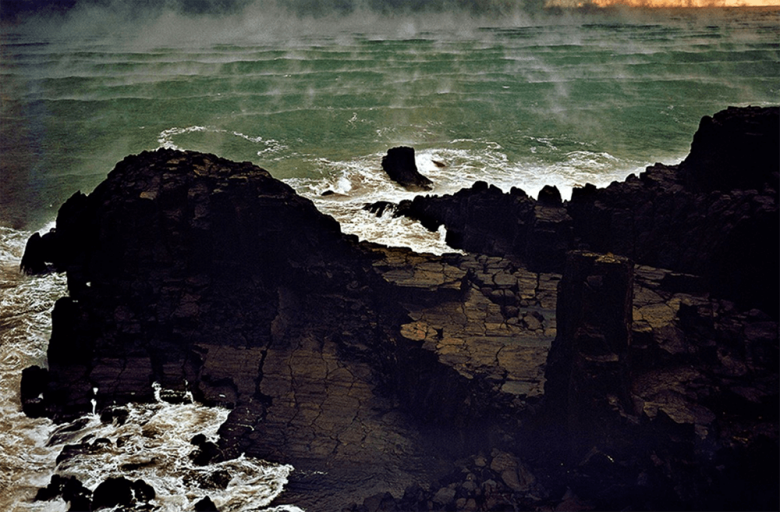 Home / Music / The Troubadour's Companion: A Review of Fleet Foxes' "Crack-Up"
Troubadours are known for their musical talent, but also their constant travelling and wanderlust. Never content to settle in one place, the troubadour travels the land, singing from town to town. Perhaps their life is a lonely existence, but one cannot say it is uninteresting or uninspired. Robin Pecknold, frontman of neo-folk outfit Fleet Foxes has often been seen as a man of this caliber, with the band's latest release "Crack-Up" having been released a full six years after their last effort, "Helplessness Blues." Pecknold spent the time wandering the wilderness and going to school, and of course, crafting music. The comparison is striking, and this latest album reflects the nature of Pecknold himself, as well as his travails. "Crack-Up" is a record that thrives on its constant motion, with songs that switch moods and colors, sometimes within themselves. Tracks are filled with layer upon layer of sound...except when they're not. This duality and flow is apparent in the structure of this album. But like the troubadour, Pecknold and company never leave you uninterested or unhooked on this record. This album may stumble sometimes under its own weight, but when it rides, it's emotional and evocative. Fleet Foxes has always been a band that tells really great stories through their harmony and pastoral instrumentation. "Crack-Up" continues that tradition, but this is the most nonlinear and experimental of the three records the band has released to-date. The first track "I Am All That I Need / Arroyo Seco / Thumbprint Scar" perfectly illustrates what you're in for on this record. The opening section of the track is a low and quiet confessional vocal delivery over a softly picked guitar. Then it explodes into a bombastic and energetic guitar wall and Fleet Foxes trademark vocal harmony wall. From there the band continues to infuse that harmony in almost every song, which is a plus, because without solid vocals, a song falls flat fast. Thankfully there's no issue with that here. If more traditional Fleet Foxes songs are what you enjoy, then this album has a few that fit right in with the sound of their previous albums, with "If You Need To, Keep Time On Me" being the most straightforward song on the album. It is a soft and thoughtful song that begs connection and solace in others. "I Should See Memphis" is also a track that falls nicely into the sound the band explored on "Helplessness Blues," with a clean and wistful guitar sound and longing vocals, as does "Third of May / Odaigahara" which switches between an opening that recalls "Battery Kinzie" from that second album, and a second half that uses some electronic elements along with weeping guitars and a myriad of other string sounds. However, if you're here for a new twist on Fleet Foxes, the rest of this album has you covered. The previously mentioned electronic sounds appear along with horns, and even some more prominent electric guitar passages on rolling Radiohead-esque tracks like "Mearcstapa" and the beautiful, sad, and haunting piano driven "Kept Woman." "On Another Ocean (January / June) plays beautifully with the duality of shifting tone and dynamic within a song to change the mood, with a slow piano ballad transforming into an uplifting midtempo end. On the whole, I'm impressed with the diversity at work here, and equally impressed that Fleet Foxes manages to keep their sense of identity and trademark characteristics fully intact. "Crack-Up" takes chances and yet still plays it safe enough to hold our focus. That's a win in my book. Though some songs didn't hold my attention and seemed overly layered to the point where they become unfocused and uninteresting, the album succeeds overall and is a worth addition to the band's storied and well praised catalog. Robin Pecknold and Co. have delivered an album that a troubadour would be proud to sing as he wanders to his next destination. I can only hope they don't lose that spirit going forward.